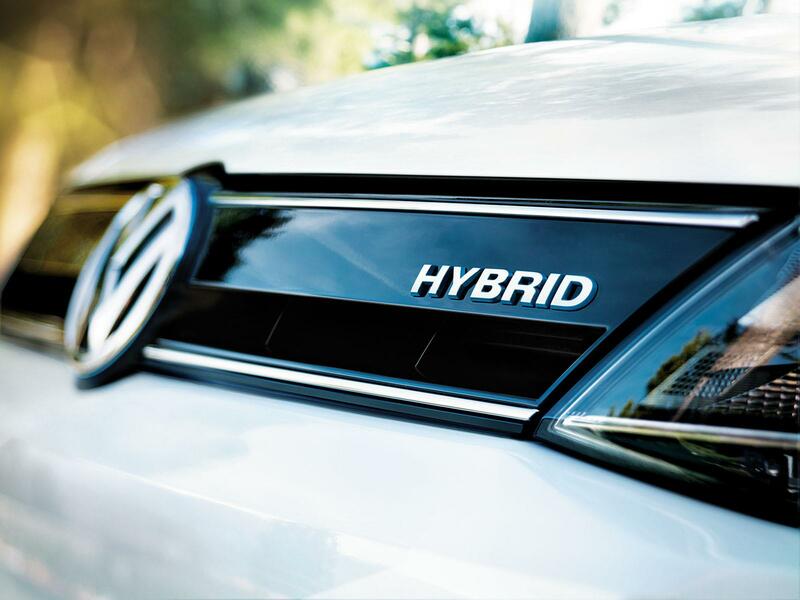 Recently, Volkswagen introduced their first Hybrid vehicle to the North American market but how does it compare with the established hybrids that are on the market today? Read on. Performance – The VW Jetta is powered by a 1.4L Inline 4 cylinder turbocharged engine providing 150 hp and 184 lb-ft of torque. On its own the engine feels underpowered in some situations such as overtaking on a highway but thankfully it is helped along by an electric motor that provides an additional 27 hp for an overall system power of 170 hp (somehow it doesn’t produce 177 hp according to VW but I’ll play along). It can run on the electric motor alone for almost 2 km with a top speed of 70 km/h before the gas motor starts up. Power from both motors is sent to a 7 speed DSG (dual clutch) gearbox that is, like all other DSG gearboxes, brilliant when on the move but when setting off from a dead stop, it hesitates for a split second, ie. it doesn’t behave like a traditional automatic and to me it just feels awkward. Another “weird feeling” that I get from the car is when braking. 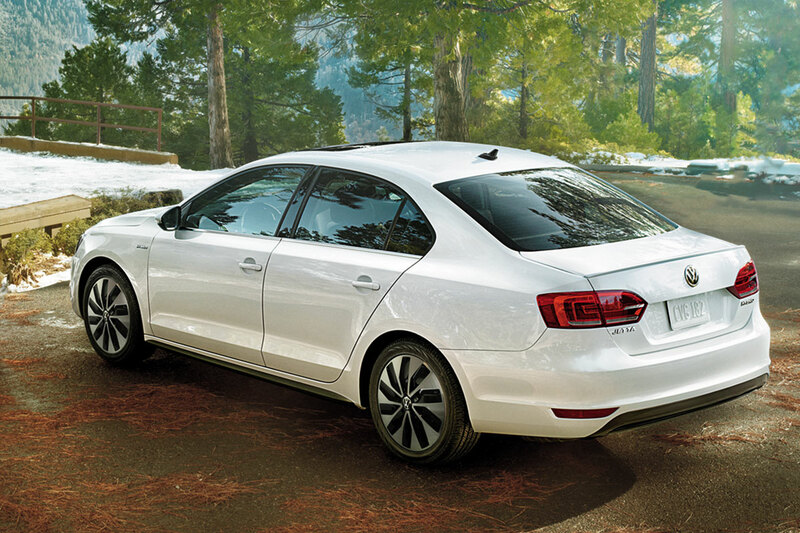 In addition to it’s standard hydraulic brakes, the Jetta also has regenerative braking which is the electric motor providing braking while it’s recharging the batteries. This happens when you let go of the accelerator pedal and lightly apply the brake pedal and that’s fine but regenerative braking doesn’t provide a lot of brake force so you are expecting more than what you’re actually getting. If you press the brake pedal harder, then the standard hydraulic brakes are applied and your face gets ripped off because the brakes are very strong and it’s not a gradual smooth step between regen braking and hydraulic braking, it’s a giant leap. Volkswagen likes to make a big deal about their “laser welded chassis and body” but it’s not a gimmick. Laser welded body parts provide a stiffer and safer chassis when crashing but also provide slightly less body flex which translates to better handling. Obviously when driving around town you won’t feel the difference but on the limit the whole frame of the car feels more rigid and planted on the road. 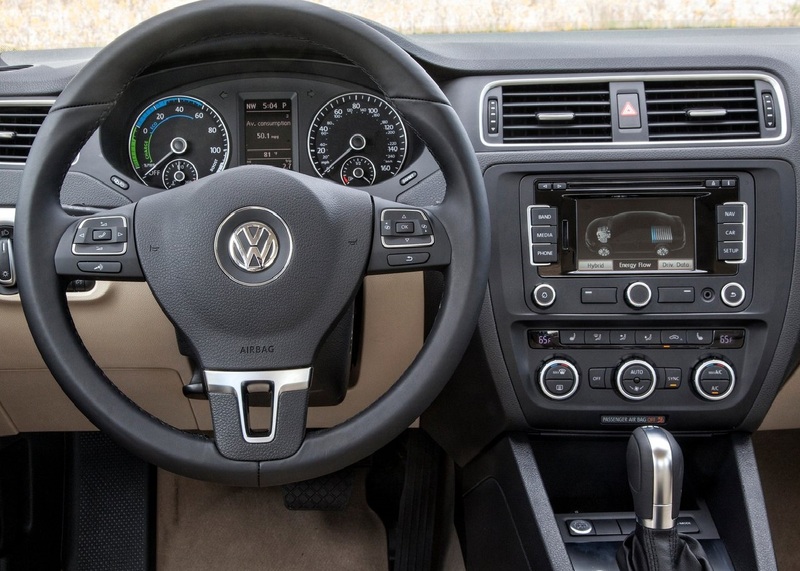 Comfort – Inside the Jetta, it’s typical Volkswagen design. A lot of black soft plastics on the dashboard and a well laid out center console. A 5” touch screen navigation system is the star attraction in the middle of the dash that can also provide information as to where the power from the motors goes. The interior noise levels are incredible because there are none. When driving on the electric motor alone, you can have a conversation with someone by just whispering although there is a bit of a buzzing noise in the cabin when driving on the gasoline engine. 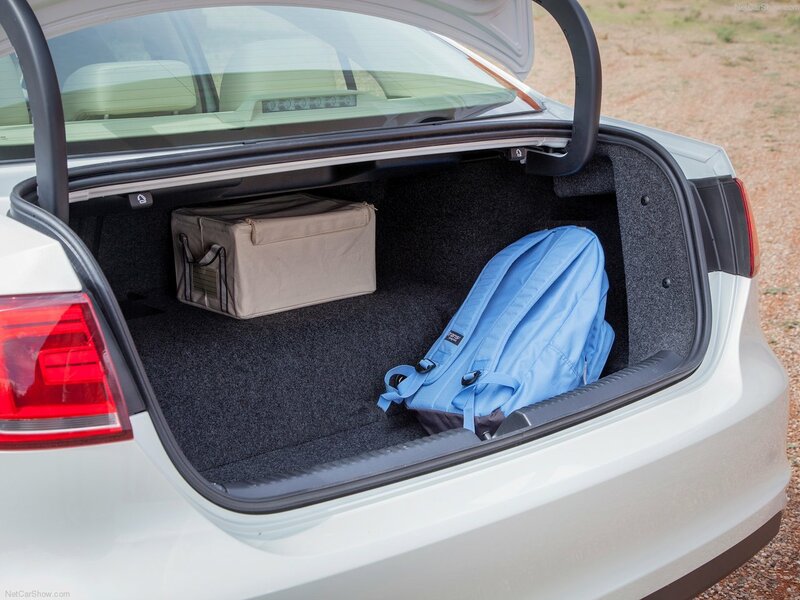 A big complaint that I have about the interior is the trunk space. The rear seats do fold down but in between the wheel wells there is a huge hump where the batteries are stored and it not only takes up space but it also prevents you from lying things flat on the floor with the seats folded. Odds and Ends – The exterior is almost identical to the standard Jetta but it does feature some subtle changes such as a different front grille and 17” alloy wheels. As for fuel consumption, it can achieve 4.5L/100 km (42 MPG) in the city and 4.2L/100 km (48 MPG) on the highway and a starting price of almost $28,000 CAD. When compared with the Toyota Camry Hybrid, the Jetta is the exact same price but has slightly better fuel efficiency on the highway. 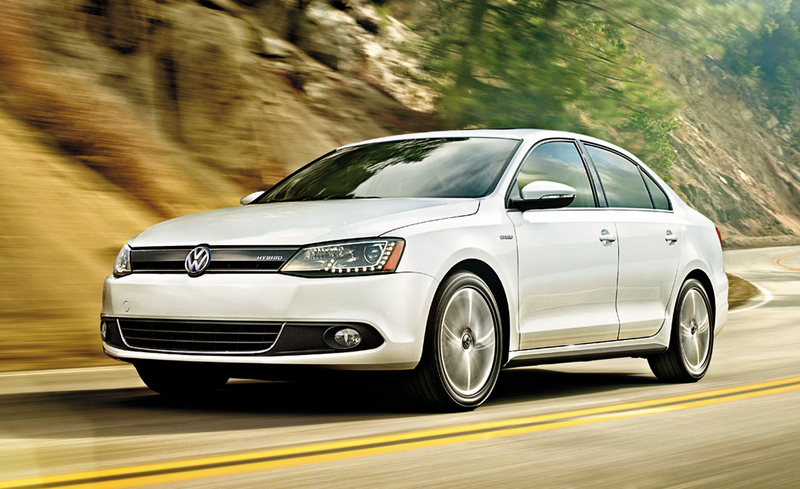 So the question is: should you buy the Jetta hybrid or a hybrid at all? Volkswagen did a good job on their first Hybrid and I would recommend this car for someone that spends all day in a clogged city such as LA or New York. But if you want to save the environment, then a hybrid is not the way to go. 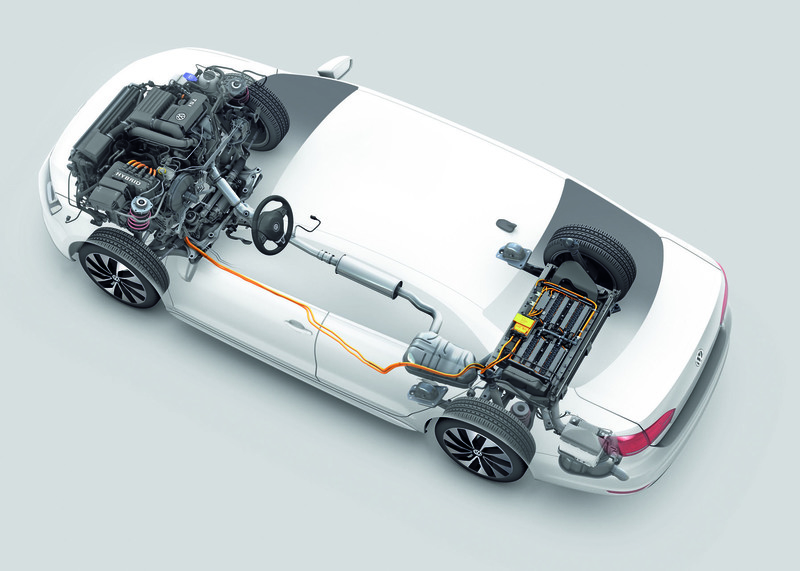 I could go on and on as to why a hybrid is bad for the environment but you can read my article on the Comparison between Hybrid, Diesel, and Skyactiv technology Here. One question I have for Volkswagen is: why no Diesel Hybrid? Good fuel consumption in the city as well as longer range and good fuel economy on the highway. It’s the best of both worlds.